Why not make family time meaningful by working together for a good cause? Volunteer Larry Wilkins and prep cook Lakeisha Hall build bags of food for clients at Community Servings in Jamaica Plain. Giving back to the community by volunteering time teaches children the values of self-esteem, empathy, compassion, and gratitude. Greater Boston is rich with accessible, meaningful opportunities for families to make a difference. You can choose to volunteer occasionally with different organizations around town or to develop ongoing relationships with a group that especially inspires you—either way, the activity will help strengthen family bonds as much as it makes the world around you a better place. At this nonprofit’s Brighton warehouse, the Giving Factory, volunteers inspect, sort, and package donated clothing, toys, books, school supplies, shoes, and other essentials for homeless or low-income children across the state. Families can volunteer with children 5 and up, or donate their own items in Brighton or at more than 40 drop-off locations around the state. Visit cradlestocrayons.org/boston/volunteer to sign up for a two-hour shift, with some available on weekends and after school, or contact family philanthropy coordinator Megan Collins at mcollins@cradlestocrayons.org. And find drop-off locations at cradlestocrayons.org/boston/donate-goods/drop-off-locations. 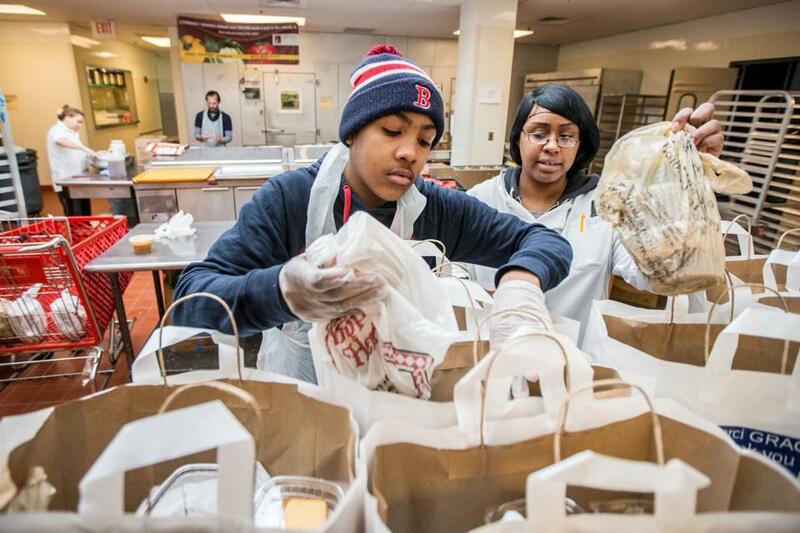 Project Giving Kids maintains an online database of dozens of nonprofits around Greater Boston designed to connect families with service opportunities in key areas, including environmental action, hunger relief, animal aid, assistance to the elderly, and support for US troops. Most opportunities are for families with elementary- and middle school-aged kids. E-mail info@projectgivingkids.org, or visit projectgivingkids.org for more information. Those with an environmental bent can become citizen scientists all year round on Stewardship Saturdays in Boston Harbor. Volunteers work on a variety of ranger-guided projects, from habitat restoration to data collection to planting native species at sites around the Boston Harbor Islands park. Register at bostonharborislands.org, and contact stewardship volunteer coordinator Andrew Petit de Mange at 617-223-8106 or andrew_petit_de_mange@nps.gov with questions. For her birthday, Kailey Moras started a drive for shoes instead of asking for gifts, and donated 432 pairs to Cradles to Crayons in Brighton. Three times a month, families and children 10 and older can participate in the Kids Who Care program at the largest hunger-relief organization in New England. Volunteers will learn about hunger in Eastern Massachusetts and do activities like packing brown-bag groceries for delivery to seniors and veterans. The program meets in a family-friendly space at the distribution center at 70 South Bay Avenue in Boston. Visit gbfb.org/volunteer to register. The experience has always been about the outdoors — now it’s also about sustainability, ecology, and even farming. This Newton Centre-based nonprofit will bring the joy of a birthday party to some 34,000 homeless children this year. Volunteer opportunities are many, including creating goody bags to donate; hosting a collection drive for gifts and party supplies; building birthday boxes by age, gender, and theme; or driving birthday boxes from Birthday Wishes’ offices to state and local agencies (application form and background check required for drivers). Volunteers looking to do more can host parties at a shelter after making a yearlong commitment and undergoing training. E-mail info@birthdaywishes.org, or visit birthdaywishes.org for more information. Volunteer families for this Wayland-based nonprofit bake and package loaves of bread at home, and then deliver them to needy recipients or to hometown heroes of their choosing, such as police officers, firefighters, veterans, or elderly community members. Families can bake any bread they choose — though founder Karen Kiefer provides her mother’s Irish bread recipe on the organization’s website — and are then asked to package it with a note of “hope, inspiration, or gratitude.” Visit spreadthebread.org for a starter kit, or e-mail info@spreadthebread.org for more information. 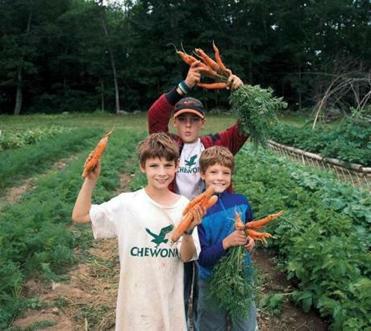 This historic organic farm in Concord donates its produce to local meal-delivery services, shelters, and hunger-relief organizations. From April into October, families with children ages 5 and older can help with weeding, seeding, mulching, watering, and other farm tasks. Shifts are from 10 a.m. to noon or 1 to 3 p.m., Tuesdays through Saturdays. Contact volunteer coordinator Kayleigh Boyle at volunteer@gainingground.org to sign up, or visit the volunteer section on gainingground.org. Families with special needs are welcome. There are numerous ways for family volunteers to help this Charlestown organization assist and advocate for the homeless across Greater Boston. Families can sponsor a birthday party at a shelter; do light landscaping and gardening projects to beautify shelters; donate, collect, and assemble “home starter kits” of household essentials; and more. Contact development director Emily Smaldon at esmaldon@headinghomeinc.org, or visit headinghomeinc.org for more information. The Habitat Intergenerational Program, or HIP, invites families to Mass Audubon’s Habitat Wildlife Sanctuary in Belmont to help with tree planting, trail maintenance, care of the sanctuary’s goats, and more. Property staff members determine the projects and provide tools and instruction. The Pulling Partners group meets Wednesdays from 2:30 to 4:30 during the school year and 10 a.m. to noon during school breaks and summer vacations. All ages are welcome; no pre-registration required. E-mail habitat@massaudubon.org, or call 617-489-5050 for more information or to check for weather-related cancellations. 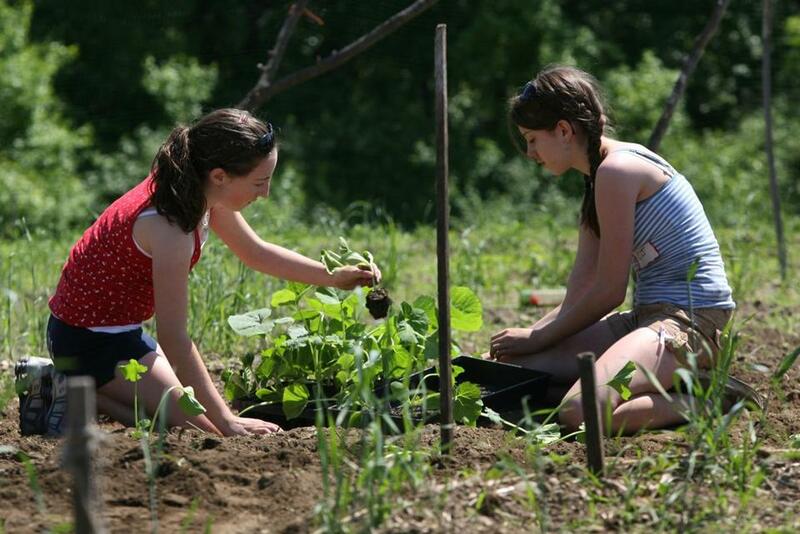 Two teenagers help out on Gaining Ground’s farm in Concord. For those who will make a minimum four-month commitment, Community Cooks in Somerville provides the opportunity to help families and individuals who don't always have enough to eat. Volunteers prepare snack packs or part of a meal at home and then deliver them to the group’s central location or other drop-off spots for distribution to local agencies serving clients. Participants purchase groceries for one component of a meal and cook once a month during that four-month period. Visit communitycooks.org, or e-mail info@ccooks.org for more information. Volunteers in the kitchen of this Jamaica Plain organization prepare 2,000 meals each day for people living with chronic or critical illness. Families with children ages 13 and older can prepare or package food for delivery. Morning (9 a.m. to noon) or afternoon (1 to 4 p.m.) shifts are available Monday through Saturday. Families with younger children can make a six-month commitment to volunteer to deliver meals on Saturdays. Contact volunteer coordinator Kate White at kwhite@servings.org, or call her at 617-522-7777 to sign up. Holly Lebowitz Rossi is a freelance writer based in Arlington. Send comments to magazine@globe.com.